CARROLL COUNTY, Ind. -- Three victims of a Thursday night plane crash in Carroll County, Indiana have been identified. The Cessna 441 went down around 7:30 p.m. in a field near Carroll County Roads 500 West and 600 South, just north of Rossville. The plane took off from Eagle Creek Airport in Indianapolis at 7:21 p.m., according to flight records. It was headed to Green Bay-Austin Straubel International Airport in Green Bay, Wisconsin. The plane flew from Green Bay to Indiana Thursday morning. At 7:39 p.m., data shows that the plane was between 18,000 feet and 28,000 feet when it disappeared off radar, according to Call 6 sources. Shortly after, multiple people called 911 in Carroll County, reporting a plane down. People who live in the area who heard the crash say it sounded like thunder. First responders had trouble finding the wreckage at first because it was so dark and far back in a field. They eventually used ATVs and other off-road vehicles to access the area. 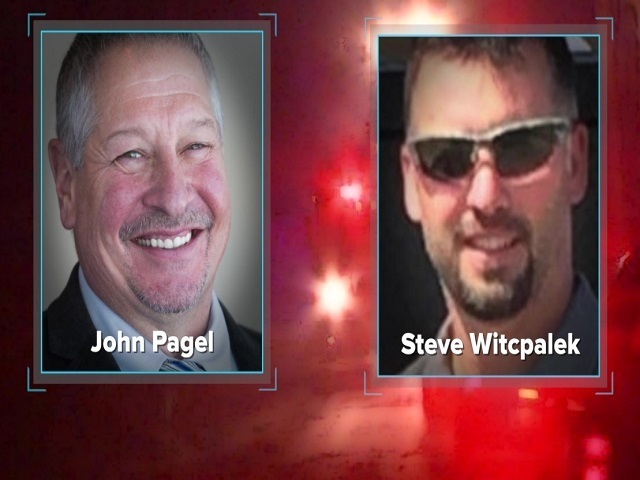 The victims have been identified as John Pagel (pictured in the middle in the photo to the right), Steve Witcpalek, and pilot Nathan Saari. Witcpalek is Pagel's son-in-law. 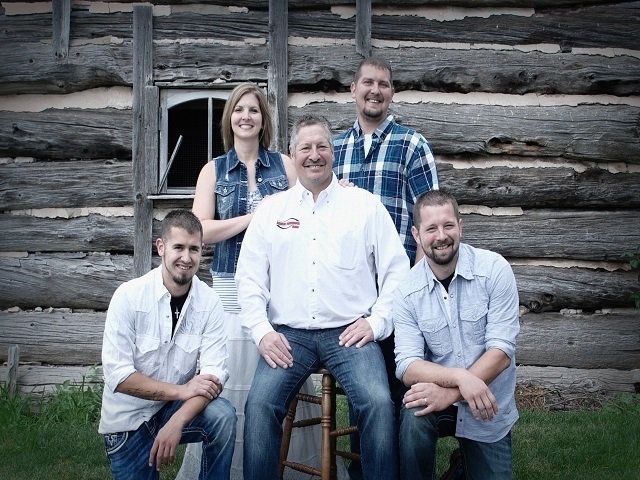 Pagel is the CEO of Pagel's Ponderosa Dairy, a farm in Kewaunee, Wisconsin. "The Pagel and Witcpalek families are heartbroken over this tragic loss. John and Steve were wonderful family men and dedicated dairymen who brought joy to the lives of so many people. They valued their community, loved their neighbors and lived life to the fullest. Although it’s unimaginable to think of a future without them, we know that their loving spirit will guide us. We sincerely thank the countless people who have showered us with love and support. We also grieve for the loved ones of the pilot who was lost, Nathan Saari, as they try to bear the terrible pain of this tragedy. We appreciate your respect for our privacy as we wait for additional information." "Few men can claim to have had a greater impact on the county, the region and indeed the nation than John Pagel, who was an unparalleled leader in his industry. John's legacy will be evident in what he has done for Kewaunee County and all of the people he has touched. We have much to learn from John's achievements and will no doubt look to his legacy for inspiration for years to come. Kewaunee has lost a leader; the dairy industry has lost a strong advocate; and most importantly we have lost a father and a friend. There is simply no replacement for what Mr. Pagel represented and what he contributed to our county and to the dairy industry. We have a lot to be thankful for because of John. He is a loved and respected man, and he will be missed by many." There is no word on what caused the plane to go down, but sources tell Call 6 Investigates that pilot switched over to Chicago's air traffic control and told the controller he was having issues with his flight controls. A few moments later, he made another radio call that was unintelligible and the plane disappeared from radar. Officials with the FAA and NTSB arrived on the scene Friday morning to begin their investigation.